We live in times of radical technological change – financial technology and data analytics – to name a few. There’s a lot of figuring out to do. Africa banking sector has seen an accelerated growth of nearly twice as profitable, in terms of return on equity (ROE), as the global average. However, Africa’s retail banking penetration is only at 38 percent of continents GDP indicating that there is enormous opportunity for growth amid stiff competition for market share. How then should retail banking operations in Africa seize the opportunity presented by the second-fastest growing banking market in the world? The answer lies in technology; enlisting it as an enabler by creating a strong digital platform designed to enable collaboration between business, customers and Information Technology. This is the digital transformation. The digital platform will transform existing operations to increase share of digital sales and transactions as well as a bring significant cost reduction by enabling collaboration with financial technology companies and telcos with the purpose of delivering mobile financial services below the cost of brick and motor branch as well as extending the reach to the unbanked customer. Additionally, banks need to improve their internal business processes by adopting end-to-end digital transformation with back-office optimization and sales productivity. Digital Transformation should be paired up with the creation of a new strategy that articulates the ways in which technology will allow the bank to do business uniquely by the creation of new services and products. Digital transformation is a process and it is a multi-faceted one. It involved more than technology and requires investment in skills, infrastructure and scrubbing up legacy IT systems. It is a lever that banks in Africa must use to leverage wide spread mobile phone coverage to their benefit with the goal of introducing low cost service offerings and innovative distribution channels for customer reach. Digitization also help banks deal with Africa’s highest cost-to-asset ratio of any region in the world and still emerge stronger and profitable than the competitor who does not. The diverse banking markets in Africa necessitates that digital transformation process begins with developing a strategy after identifying the specific market challenges a bank would like to overcome. This is particularly important for banks that have presence in different regions. The digital strategy for retail banking in market regions with high level of mobile banking and other innovations represented by Kenya and Ghana will be slightly different than that of a market region represented by say Nigeria and Angola in which banking penetration is lower. The strategy should define the outcome they seek, and finally searching out and deploying the technologies and process changes that can best drive those outcomes. 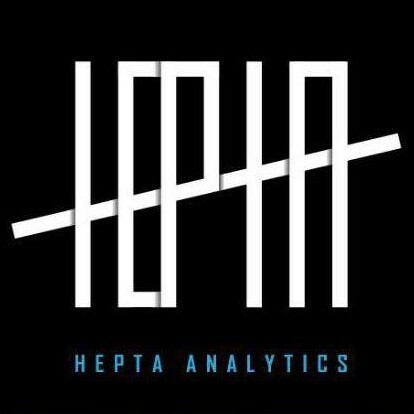 Hepta Analytics, as a technology partner can help banks, adopt and implement new technologies and digital operating models needed to capture the benefit of digitization, with respect to customer experience, revenue, cost and risk. Next Is Climate Change Real?